Two British former overall winners of the Irish Ras will line up in this year’s event in Dunboyne on May 23. Chris Newton, who was won the race twice, and Simon Richardson, who came out on top last year, are both set to start in the Irish race this year. Irishman, Stephen Gallagher, who won in 2008, now leads the British-registered Sigma Sport Specialized team for the eight-day stage race. Add in Andrew Roche (winner in 1997) and it makes four previous overall winners in the race this year. Double-winner Newton will be supported in Ireland by four team-mates: Dan Craven, Matt Cronshaw, Ben Greenwood and Jonathan Tiernan Locke. “The team line-up reflects the slightly hillier route than in the past, along with the fact that we will also be riding the Tour of Japan with other riders the week before,” commented Rapha Condor manager, John Herety, who has directed several of his riders to Ras wins. Stephen Gallagher, meanwhile, will be supported by Wouter Sybrandy, James Williamson and Kit Gilham. This year’s race kicks off on May 23 and covers 1219km with 24 categorised climbs in its eight stages making for one of the toughest Ras routes in recent years. 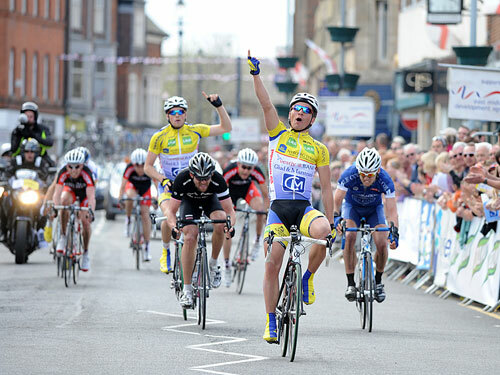 After Michael Berling’s win in the CiCLE Classic, his Danish team Glud & Marstrand are upgrading their ambitions to the Tour of Britain. “Our team is getting bigger and better with every year; we have three ex-ProTour riders, and racing in Germany [at the Rund um Koln] with Saxo Bank has raised the level of the team,” said team manager Michael Skelde. “The level is rising; I hope that we’ll get at least one guy in the top ten at the Tour of Denmark,” he said. However, with the race oversubscribed and only two spots remaining, the small Pro Continental outfit will be very fortunate to claim a spot in the eight-day race, which commences in Rochdale on September 11. Nevertheless, former Alessio rider Skelde is optimistic. “I think we have a good chance and I’m going to do everything I can to make it happen,” he vowed. Lizzie Armitstead and Emma Pooley return to action tomorrow in the GP de Suisse time trial in Switzerland. Pooley, fresh from her win in the women’s Flèche Wallonne, will be joined by her Cervélo team-mate Armitstead in the 23km time trial. 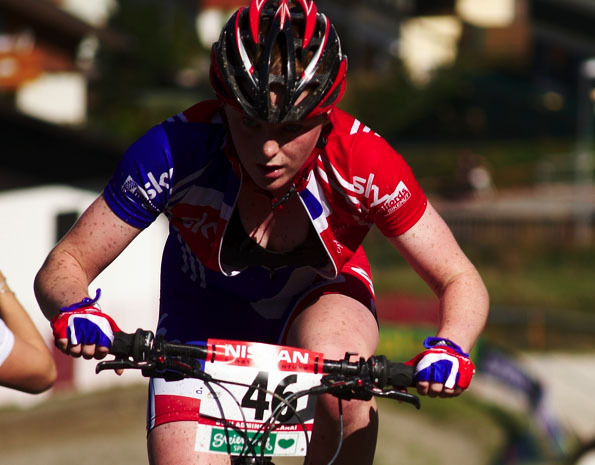 On Saturday, the duo will travel to back-to-back races in Luxembourg, the GP Elsy Jacobs and the GP Mameranus, where they will also be joined by fellow Brit, Sharon Laws. “The aim in these upcoming races is to polish our performances and to prepare for our trip to China, to participate in the Tour of Chongming Island, the first Women’s World Cup event, ever to be held in Asia,” explained Egon van Kessel, directeur sportif of the women’s team. Three British riders made the top-20 in yesterday’s fourth stage in the Tour of Brittany. Jonathan McEvoy, Pete Williams (both Great Britain) and Tobyn Horton (Team Sprocket) were 8th, 11th and 15th respectively on the stage from Saint Gildas des Bois to Mauron won by Germany’s John Degenkolb in a bunch sprint. Ian Bibby remains the top British rider overall in 21st, 1-45 behind Rabobank’s Jetse Bol. British espoir rider Simon Holt had more than his fare share of disappointment at the weekend, not being able to make it home for the CiCLE Classic due to the travel chaos caused by the volcano and then narrowly missing out on his first win in Italy on Sunday. Holt spent 150km in a break on Saturday and was caught 3km from the finish and then managed to get into another move on Sunday in Treviso. The break contained riders from the Zalf and Trevigiani Bottoli teams, two of the strongest espoir squads in Italy. “In the descent and on the run into the finish we played a bit too much cat and mouse,” Holt explained. “Unfortunately, I didn’t have any time gaps so didn’t realise the bunch was closing in fast on us. I actually thought we still had a minute and a half in hand but in the last kilometre the catch happened. “I managed to jump onto the back of the Trevigiani lead out train and scramble to 10th in the bunch sprint but I was left disappointed as was pretty sure if we went to the sprint in the group I would win my first race out here in Italy,” Holt added. The young Briton was philosophical in defeat, however. “You have got to look on the bright side though. My condition is starting to come good now right at the time I planned it and with a big batch of racing coming up in the next few weeks and months, including the Baby Giro, I am looking to put it to good use and get my first win out here in Italy,” he commented. If you missed out on the action from the Cross Country World Cup in Dalby Forest last weekend, fear not. The event was broadcast live but Dalby also had an additional 12 cameras in various areas, two of which were situated on the back of a quadbike. British Eurosport 2 is showing highlights tonight from 5pm – 6.30pm. Dan Jarvis and former World Cup winner Gary Ford will take care of the commentary. The show will be repeated later tonight on the same channel from 10.45pm – 12.15am. The Rapha Cycle Club will open in May for just three months in London. The club will be a combination of gallery, shop and café and will exist as a space where fans can come together and share their love for the sport. There will be a calendar of events including the screening of live road racing. Membership is free and the club opens on May 8 on 146-148 Clerkenwell Road, London, EC1R 5DG.